Due to the high volume of questions being sent in via email, I need to remove the contact form that sends me emails. I can’t keep up with private questions as I am not a business, just a guy:). I do, however, respond to comments on the posts. I do get notified when someone asks a questions publicly. That’s better anyway, as more people can benefit from the back-and-forth. 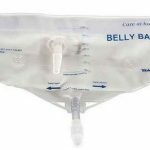 One of the busiest and most generic posts with lots of comments is Catheter Pain: One Possible Tip For Relief. But I get notified of comments on all posts. So check those out here. And of course, there is the forum.